Best Answer: It's definitely worth it, but only if you'll be making use of most of the services that it offers to subscribers. 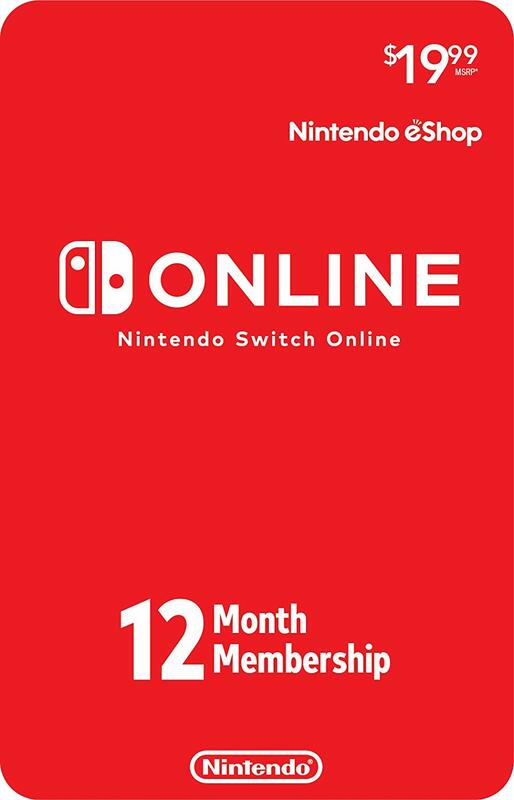 Nintendo Switch Online is only $20 a year for individuals, so that is less than $2 a month. There is also a Family Plan that costs $35 a year, and it supports up to eight users on a single Family plan. Do you play a lot of games online? Before Nintendo Switch Online debuted, everyone could play their Switch games online without cost. It was a glorious time, but now that ability is locked behind the paywall of Nintendo Switch Online, so you'll either need to pony up for the individual service at $4 per month or $20 per year, or join a Family membership at $40 per year for up to eight people for more savings. The service itself gives you back the ability to play your favorite Nintendo Switch games online, such as Splatoon 2, Mario Kart 8 Deluxe, Monster Hunter Generations Ultimate, Diablo 3, and pretty much everything else that has online connectivity. If you were playing a lot of games online before, the service debuted, and would rather not be without it, then this alone makes the cost of the membership worth it. Do you want to voice chat with your friends while playing? Along with that, Nintendo Switch Online grants you the ability to use the voice chat with certain games in the Nintendo Switch Online mobile app. However, we found that this is an overall poor implementation of voice chat by Nintendo, and you're better off using something like Discord or Skype when gaming with your Switch friends. If you insist on using it though, you can do things like schedule gaming sessions, voice chat, and sometimes get exclusive gear in games (like in Splatoon 2). Do you want to have a backup of your game save data in the cloud? Chances are high that you've invested dozens, perhaps hundreds of hours into all of your Nintendo Switch games by now. With Nintendo Switch Online, you'll get automatic cloud backups for all of your games that currently support the feature. This means one less thing to worry about if something happens to your Switch, because you can just pick up where you last left off. Do you enjoy playing the old-school classic Nintendo games? Not only does Nintendo Switch Online allow you to play those classic NES games, but it even adds online multiplayer functionality to them so you can enjoy them with others. If that entices you, then a Nintendo Switch Online membership is definitely worth the money. Do you want exclusive offers or games? As a special bonus for Nintendo Switch Online members, Nintendo does some limited time promotions for in-game gear, exclusive product sales, and even free games. So far, they have given some download codes for in-game gear in Splatoon 2, had the exclusive Nintendo Entertainment System controller offer (works with the NES online games), and the free Tetris 99 game. There hasn't been a regular schedule for these offers, but it's a nice bonus for anyone who is a subscriber to the service. Think of it as the icing on the cake. For us, getting all of these features is definitely worth the monthly or yearly fee. However, not everyone has the same budget, so it really depends on whether or not you're going to use everything that Nintendo Switch Online has to offer. If you can spare some money for Nintendo Switch Online, then it's definitely worth it. I mean, how else are you going to play Super Smash Bros. Ultimate? Nintendo Switch Online has a lot of useful benefits for subscribers. You'll be able to play online with others, voice chat through the mobile app, get exclusive bonus offers and games, cloud game saves, and gain access to the NES classics with online functionality. It's a win-win, and relatively cheap when you compare it to PlayStation Plus and Xbox Live. 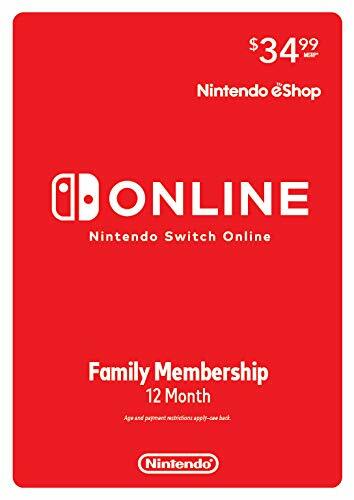 The family membership for Nintendo Switch Online can have up to eight people on one plan. The more people you get to join in on this plan, the more money you save.